Flexible medium forming is one of the main processes to manufacture lightweight component of thin-wall sheet metal. The fairing of spherical bottom cylindrical features is an important part of the spacecraft structure. The traditional deep drawing process has some difficulties such as low forming limit, poor wall thickness uniformity, and difficulty in quality control. Compared with the traditional rigid die forming method, the flexible die forming has obvious advantages in producing complex shape members and thin-walled special-shaped members. 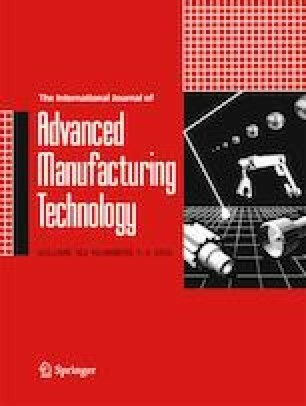 In this paper, the magnetic medium for transmitting force (MMTF), assisted the deep drawing of pure aluminum spherical bottom cylindrical parts (SBCP), is studied. The research results show that the formability and quality of the SBCP can be improved effectively by using magnetic medium-assisted sheet metal drawing process. When the magnetic field is raised from 0 to 0.2 T, the maximum reduction rate of wall thickness is reduced from 18 to 11.5%. The ability of deformation and coordination and the uniformity on each part of wall thickness are significantly improved. The ultimate forming height is increased by about 11%. And the amount of springback is also greatly reduced. It can be seen that the MMTF-assisted sheet metal drawing process provides scientific guidance and new ideas for the formation of complex shaped members. This article is completed under my independent research, and without the phenomenon that quotes largely or plagiarizes other articles and so on. Therefore, I will be corresponding responsible for the thing. This paper was financially supported by the Key Laboratory of Micro-systems and Micro-structures Manufacturing of Ministry of Education, Harbin Institute of Technology (2018KM008).